This page contains information on the various organizations collaborating with the United Nations Alliance of Civilizations on the PLURAL+ Video Festival. The United Nations Alliance of Civilizations is a project of the United Nations Secretary-General which seeks to strengthen relations and reduce tensions between different cultures. It was co-sponsored by the governments of Spain and Turkey in 2005, and today has over 100 participating countries and international organizations. The Alliance works to reduce cultural tensions by promoting dialogue, policies and projects, particularly within the areas of youth, education, migration and media. The International Organization for Migration (IOM) acts together with its partners in the international community to uphold the human dignity and well-being of migrants; encourage social and economic development through migration; assist in meeting the growing operational challenges of migration management; and advance understanding of migration issues. AFS is a community of more than 50 international Partner organizations that support intercultural learning, primarily through exchange programs. AFS has transformed the lives of millions of students, families, and individuals with the support of AFS Volunteers. Amara has won several awards for their subtitling (including one from the UNAOC). Their revolutionary tools allow you to create and manage subtitles publicly or privately, using your own staff and contractors or a volunteer team. They also provide the lowest cost professional transcripts, captions, and translations of the highest quality, complete with enterprise editing and collaboration functionality. Balobeshayi is a social cooperative facilitating the integration of migrants in urban spaces by fostering dialogue between new arrivals and previous residents. Through the production of video, intercultural dialogue training and consultation they create a healthy communication on the subjects of migration and international development. Their work is the result of thorough research, cooperation and innovation to achieve tangible changes. Balobeshayi in the Congolese language, Tshiluba, means “We convinced you”. It aims to change the narrative on migration to promote inclusion and integration using the power of communication. Communication and Integral Development is a legal association based in Togo which works to promote human development throughout communication and culture. Created in 2010, this organization intends to relay information by means of communication in favor of development and well-being of human. 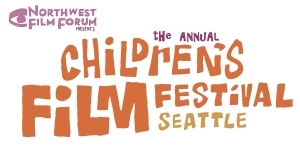 Children’s Film Festival Seattle, presented annually by Northwest Film Forum for the past 12 years, is the largest and most respected competitive film festival on the West Coast dedicated to children and their families. The festival includes more than 165 international children’s films from 40 countries, and reaches more than 10,000 people during festival screenings in Seattle and a subsequent festival tour of 15-20 U.S. cities. By showcasing innovative and inspiring films from around the globe, we promote delight and discussion, sparking interest in different languages and ways of life. We strive to provide our young audience members with a cinematic experience that will inspire them to become more compassionate and better informed global citizens. CHINH aims to promote causes of children and marginalized communities through harnessing traditional wisdom, art and culture and rediscovering them in contemporary contexts. CHINH’s prime focus is to create media space for quality children programming through an early education web channel followed by community web channel to showcase to the world a new vocabulary of social change being developed by a handful of people and organizations. CHINH is on its way to create the world’s biggest library of children’s films done by the children through its ongoing media literacy programme. Cinemes Girona is a Barcelona movie theater with expressed interest in promoting diversity in society. Through their daily film programming, presenting films from around the world, Cinemes Girona stimulates an open discussion with audiences aiming at encouraging diversity and better understanding of other, non western, cultures. Cinemes Girona is committed as well to supporting the development of local filmmaking talent. CineySalud (Cinema and Health) is a program of the Department of Public Health of the Autonomous Government of Aragon (Spain). The program collaborates with educators and is implemented in schools at a regional level using film as a way to promote health within the youth, as well as promote self-esteem and empowerment, critical thinking and personal social responsibility. The program organizes the Festival de Cortometrajes y Spots Cine y Salud, an annual youth video festival around health issues. COPEAM is an international non-profit organization aimed at being a permanent cooperation and skill-sharing platform for the Mediterranean area audiovisual operators. COPEAM gathers more than 130 members representing 25 countries and takes concrete action in the areas of radio and TV co-production, training, and the preservation and distribution of the audiovisual heritage of the Euro-Mediterranean region. The Festival de Cine Africano (FCAT) / the African Film Festival of Tarifa and Tangier is an independent film festival, organised by the non-profit NGO Al Tarab, that take place every year in Tarifa (Spain) and Tangier (Morocco). FCAT promotes African cinematography in Spain and Latin America, thus contributing to a better mutual understanding as well as to the development of Culture and the film industries. To facilitate the access of Spanish-speaking audiences to these films, FCAT subtitles all of the film material that it annually programs. As a result, a Film Archive has been created. Unique in its genre, this archive is currently composed of almost 1000 titles in original version with Spanish subtitles, and it is the largest African film archive available to Spanish-speakers. Thanks to this, Al Tarab is able to “Africanize” festivals and film events, not only in Spain but also in Latin America and the Caribbean. The mission of FERA is to explore the relatively unexamined pedagogical nexus of cinema, teaching and learning. It is our belief that the psychological weight of cinematic content, the powerful visual vocabulary of the medium, and the peculiarity of cinematic aesthetics can become a powerful counterbalance to the scientizing and capitalizing tendencies of the mass media. FERA manages the PLURAL + Marcelo Lucero-Embracing Diversity FERA Award. Free Press Unlimited is a foundation based in Amsterdam, the Netherlands. Our Executive Board is made up of Leon Willems and Ruth Kronenburg. Together, they head a dedicated team of some 44 professionals. Free Press Unlimited’s media projects in 36 countries around the world are overseen by our Programme Coordinators, who specialise in particular fields and/or geographic areas. The GLOBAL MIGRATION FILM FESTIVAL organized by IOM is an annual event taking place from November 28 to December 18, International Migrants Day. It showcases films that capture the promise and challenges of migration for those who leave their homes in search of a better life and the contributions they make to their new communities. Winning PLURAL+ films will be included in the Global Migration Film Festival Menu bringing greater attention to the diverse youth voices and perspectives supported by PLURAL+. GoodnessTv is a video sharing WebTv dedicated to people and organizations working to make a positive difference in the world. Individuals, NGOs and non-profits can create profiles and broadcast videos about their mission and their field work. Hamptons International Film Festival was founded to celebrate Independent film—long, short, fiction and documentary—and to introduce a unique and varied spectrum of international films and filmmakers to our audiences. The festival is committed to exhibiting films that express fresh voices and differing global perspectives, with the hope that these programs will enlighten audiences, provide invaluable exposure for filmmakers and present inspired entertainment for all. “i am a migrant” is the UN Migration Agency’s global campaign to promote diversity and inclusion of migrants in society. It is specifically designed to support volunteer groups, local authorities, companies, associations, groups, indeed, anyone of goodwill who is concerned about the hostile public discourse against migrants. Based on the testimonies of thousands of migrants and refugees, “i am a migrant” aim is to promote positive perceptions of migrants by highlighting their great contribution to their host societies. IOM Migration Research & Training Centre (MRTC) undertakes practical and innovative research and education on migration policy issues that are essential for local, regional and international stakeholders, including governments (national, provincial and city administration), academia, international organizations, and civil society organizations, etc. IOM MRTC actively engage in the exchange of ideas and information about migration policy with policy experts and scholars in and outside Korea, and sponsors a variety of activities and events through a close relationship with both local and overseas partnership organizations. Furthermore, the MRTC also fulfills its roles to meet social responsibility; take the lead in advancing migration policy as a new driving force of Korea; and is committed to contributing to migration policy as an Asia hub and international cooperative institution. The Media Education Centre (MEC) for children and young people is founded as a non-political, non-profit NGO, gathering civil society willing to work for aims of scientific and professional research on the influence and application of media in non-formal education of children and young people (and their teachers) through media literacy, media education and education in media, in accordance with human and child rights on access to information, rights to preservation and respect of cultural, national and religious diversity, and the right to participate in media. NEXOS-Alianza Association is a non-profit organization based in Madrid aimed at promoting the Alliance of Civilizations’ purposes and ideas through audiovisual projects. The association aims to explore the links between civilizations within a framework of respect for human rights and the promotion of cultural and religious tolerance through films, TV series, teaching DVDs, websites and mobile phone games and programs. The Paley Center for Media is a leader in discussing the cultural, creative, and social significance of TV, radio, and emerging media platforms. It is based in New York and Los Angeles. The general public can access its impressive international collection and participate in programs that explore and celebrate the creativity, the innovations, the personalities, and the leaders who are shaping media. The Peacemaker Corps mission is to facilitate and support peace and tolerance education among the youth of the world. The international Peace in the Streets Global Film Festival showcases young filmmakers from around the world sharing ideas about making peace at home. Because we believe peace is a human right, the Peace in the Streets Global Film Festival empowers young people everywhere in the world with access to any technology available to share their ideas, innovative approaches and individual voices with one another in their quest for a better world. Founded in 2001, Reel Grrls was the first media arts center in the US focused on training girls in media production through hands-on workshops and classes taught by feminist media professionals and educators. Girls ages 11 to 21 are equipped to engage critically and creatively with digital media, fostering positive social change. Reel Grrls also provides media literacy training to help girls, gender non-conforming youth, and male allies from diverse communities interpret and respond to the flood of gendered and racialized images and messages young people encounter in our media saturated world. Along with his work as a photographer, since 1983 Reza has been a volunteer committed to the training of youths and women from conflict-ridden societies in the language of images, to help them strive for a better world. After founding Ainaworld in Afghanistan in 2001, Reza continued to conduct workshops on the language of images in a variety of formats (onsite and online) through his association Reza Visual Academy. He currently works with refugees, youths in the suburbs in Europe and youths coming from other disadvantaged backgrounds such as favelas in Buenos Aires. SIGNIS is the World Catholic Association for Communication. It engages with media professionals to help transform our cultures in the light of the Gospel by promoting human dignity, justice and reconciliation. SIGNIS promotes a Media for a Culture of Peace. SIMN, Scalabrini International Migration Network is an umbrella organization established in 2005 by the Congregation of the Missionaries of Saint Charles, Scalabrinians, with more than 250 entities involved in various activities and services helping people on the move around the world. Our vision is to foster a leading global network that serves migrants, refugees, internally displaced persons, seafarers, and itinerants, and advocates for their dignity and rights worldwide. Television America Latina (TAL) is a network of exchange and dissemination of audiovisual production in 20 countries in Latin America. It is a nonprofit institution that brings together hundreds of partners today throughout the entire region. TV channels are public, educational and cultural institutions and independent producers, who share their programs – documentaries, series and short films – through TAL. TOGETHER is a growing initiative of Member States, private sector, civil society representatives and individuals committed to changing negative narratives on migration and strengthening social cohesion between host communities and refugees and migrants. It is led by the United Nations and was launched in September 2016 as an outcome of the New York Declaration to promote respect, safety, and dignity for refugees and migrants and counter the rise in xenophobia and discrimination. Insight Film Festival encourage filmmakers throughout the world to make films about ‘faith’. It creates events and spaces where such films can be displayed, discussed and celebrated. It welcomes participants from all faith backgrounds and none and focuses particularly on young filmmakers. In doing so it wants to make positive contributions to understanding, respect and community cohesion. UNITED FOR PEACE FILM FESTIVAL (UFPFF) is a film festival for young people such as students. UFPFF is held near September 21st each year, the International Day of Peace, in Yokohama Japan to call for a peaceful world, without war or conflict. The festival aims to encourage action towards creating a peaceful world through the use of media images; a universal language shared by all. United Nations Children’s Fund (UNICEF) promotes the rights and wellbeing of every child in 190 countries and territories, with a special focus on reaching those in greatest need. United Nations Television (UNTV) output includes the award-winning TV magazine series 21st Century. Distributed monthly by the UN’s Department of Public Information to more than 50 broadcasters worldwide, the series reflects UN priorities and important issues affecting the world, and our lives, today. UNTV also produces UN in Action — an award-winning series of short television features on the work the UN and its agencies. UN in Action is distributed on demand to more than 45 broadcasters in 27 countries as well as 15 UN field offices. USA for IOM is the nonprofit partner of the UN Migration Agency, IOM. We raise awareness and funds in support of IOM’s life-saving humanitarian work to help people forced from their homes by conflict or natural disasters, or suffering at the hands of human traffickers. USA for IOM provides a channel for individuals to give hope to the millions of people worldwide who have lost the peace and security of a permanent home. Learn more about USA for IOM here. WADADA News for Kids is a cooperation of TV programs in Europe, Africa, Asia and Latin America. Here you can follow our daily updates from Bangladesh, Bolivia, Burma, Ghana, Indonesia, Nepal, Netherlands, Nicaragua, Peru, Sierra Leone, South Africa, Suriname and Zambia. ‘People deserve to know’. That’s the aim of Free Press Unlimited. And that’s why we have created WADADA News for Kids. Broadcasting the future! 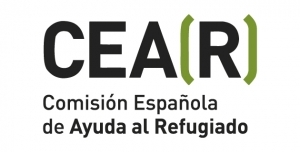 CEAR is the Spanish Commission for Refugees (CEAR), a non-governmental organisation founded in 1979 with a volunteer, humanitarian, independent and plural approach. 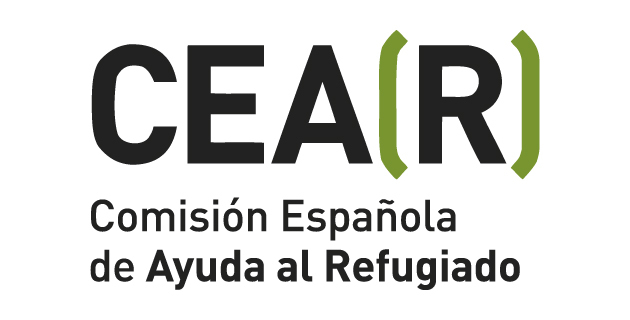 CEAR was founded based on strong ethical values, such as justice, solidarity, freedom, equality, plurality, transparency and coherence. The defense of these values is our main incentive to carry out our duties. Its aim is the defense and promotion of the right of asylum as well as the human rights of asylum seekers, refugees, internally displaced people, migrants in a vulnerable situation and stateless people. FACIUNI is an initiative of DIRECTV, a festival created with an innovative format in order to promote international academic interaction, showcase the extraordinary work developed by University students, and stimulate the interaction and exchange amongst the new generation of movie makers. SIMA (Social Impact Media Awards) is an arts organization registered in California and Germany. SIMA aims to advance global awareness, social justice, human rights and education by supporting independent producers, organizations and content creators on the front-lines of social change, and amplifying the impact of their works to inspires activism, compassion and social transformation. 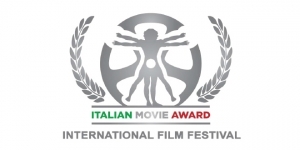 Italian Movie Award is an International Festival that takes place in Pompeii from 29 July to 6 August 2018 and then ends with the awards ceremony on 10 December at the Paley Center For Media in New York. Projections of films, docs and short films, reviews, exhibitions, and the 5th edition of the Italian Movie Master, a film training course, free for 100 students. This year a retrospective dedicated to the Denzel Washington. In addition, the international competition called “Short Social World Competition” where directors from all over the world participate with short films on social issues. Since 2009 the Festival has registered over 4,000 works. 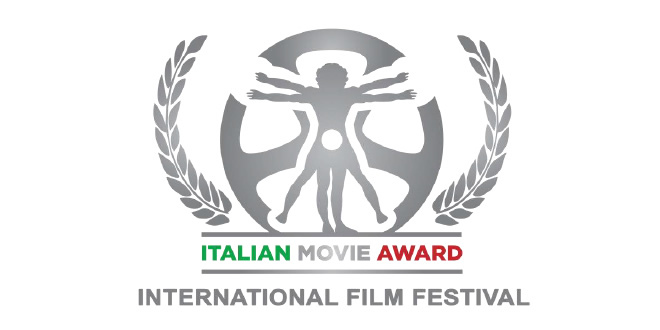 President and Artistic Director of the festival is the film director Carlo Fumo. Theme of the 2018 edition: FUTURE: “A look at the generations, those who believe in the beauty of their dreams, because the teachings of today represent the choices and actions of tomorrow”. Doha Centre for Media Freedom (DCMF) is a non-profit organization working for press freedom and quality journalism in Qatar, the Arab region and the world. DCMF recognizes that the well-functioning media is crucial for healthy societies and sustainable economies. DCMF has a specialized department dedicated to fostering human rights and public liberties and protecting journalists and media workers during media coverage. The organization is professionally committed to raising public awareness of issues that are of public concern, supporting human rights, advocating the values ​​of tolerance and democracy, and encouraging respect for human rights and liberties of journalists and media networks in line with Article 19 of the Universal Declaration of Human Rights. The Royal Film Commission (RFC) is a financially and administratively autonomous Jordanian public organization led by a Board of Commissioners, chaired by HRH Prince Ali Bin Al Hussein. 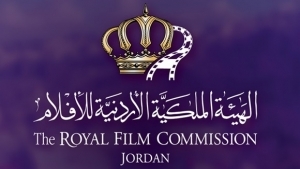 Member of the Association for Film Commissioners International (AFCI), RFC aims to build in Jordan a world-class, cutting-edge film industry where all people of the Middle East can freely make films alongside the world’s most talented artists. RFC provides education and training, production services and fosters film culture in Jordan. MediaBus is a foundation that collaborates with education professionals, developing media and information literacy initiatives, particularly in rural schools of Chile. Share this page. Spread the word.